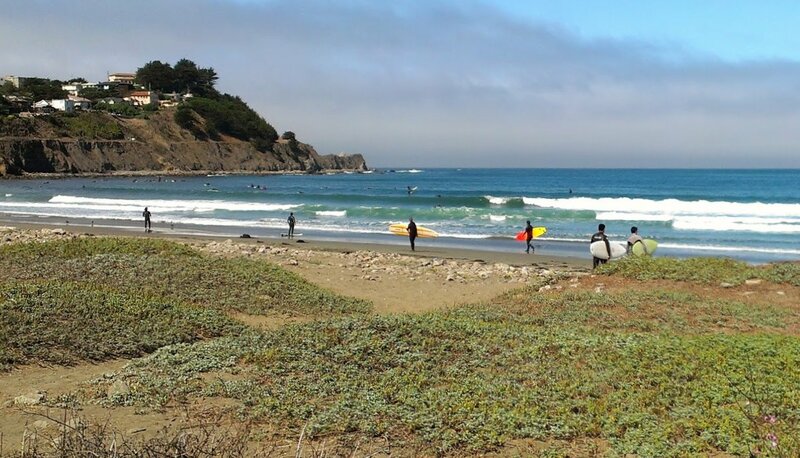 Between 1989 and 2005, Linda Mar underwent an extensive beach habitat restoration program, in association with the San Pedro Creek flood control and habitat restoration. It is one of the first beaches to utilize managed retreat as a method of shoreline protection. In addition to beach nourishment, habitat for four threatened and endangered species was restored, and community access with expanded parking lots, trails and new restrooms was enhanced. Over 1 million people visit Linda Mar annually. Site Captains: Meet Ana Garcia and Jim Fithian. 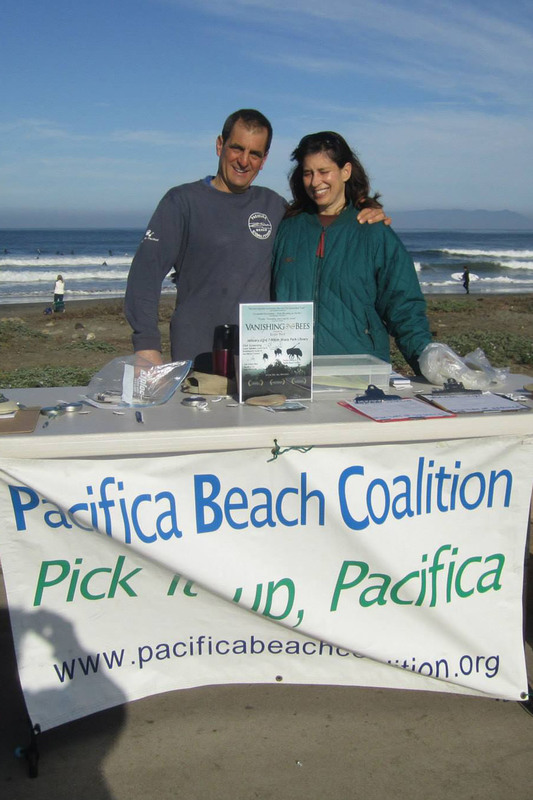 Together, this husband-wife dynamic duo have been active coalition members and co-captains for more than 17 years.They established our very first Adopt-A-Beach site at Linda Mar beach in September 1998 (during Coastal Cleanup Day). Since then, they’ve led monthly cleanups every third Saturday of the month which began while dogwalking and picking up litter along Pacifica’s shoreline. This husband-wife Earth Hero team has been dedicated to being part of the pollution prevention solution by leading by example, by engaging volunteers in hands-on ‘eco-action,’ and by inspiring current and future generations to learn, value, appreciate and become lifelong stewards of our ocean, beaches, and coastal habitat. Their astounding commitment has earned them well-deserved recognition throughout the years for the significant difference they’ve made in reducing litter and harmful marine debris at one of San Mateo County’s most popular beaches. 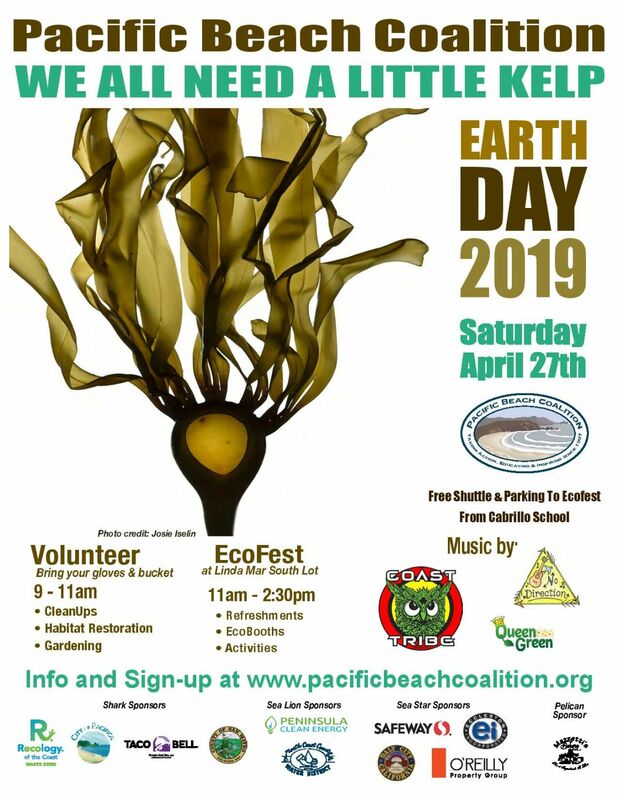 Both have been recognized by the California State Assembly (2013) and the Pacifica Chamber of Commerce (Clean & Green Award 2002) for protecting our beaches and coastal environment. Ana and Jim are also members of our Steering Committee; Ana as our scribe and Jim as vice president. Time: Third Saturday of the month from 9am-11am. Check our online monthly calendar for exact dates. Rain may cancel cleanup. If you’ve registered in advance, you’ll receive a cancellation notice. If you have not registered, check our calendar for the latest information. Parking: Fee to park. However, when you check in, site captains provide a parking pass good for use during your participation in the cleanup. Should you stay beyond cleanup hours, fees apply. Fee for parking is $4 for up to four hours, $8 all day; $50 for an annual pass, available at www.cityofpacifica.org. Lot hours are 5am-10:30pm during Daylight Savings Time in spring/summer (DST usually ends first Sunday in November and resumes second Sunday in March); 5am-7pm in the fall/winter. Additional parking is available at Crespi Parking Lot on the east side of Highway 1 at corner of Crespi Drive (adjacent to Pacifica Community Center). Litter: Expect picking small and large pieces of trash from this popular beach site. Linda Mar site is a designated Japanese Tsunami Marine Debris Cleanup Program location. 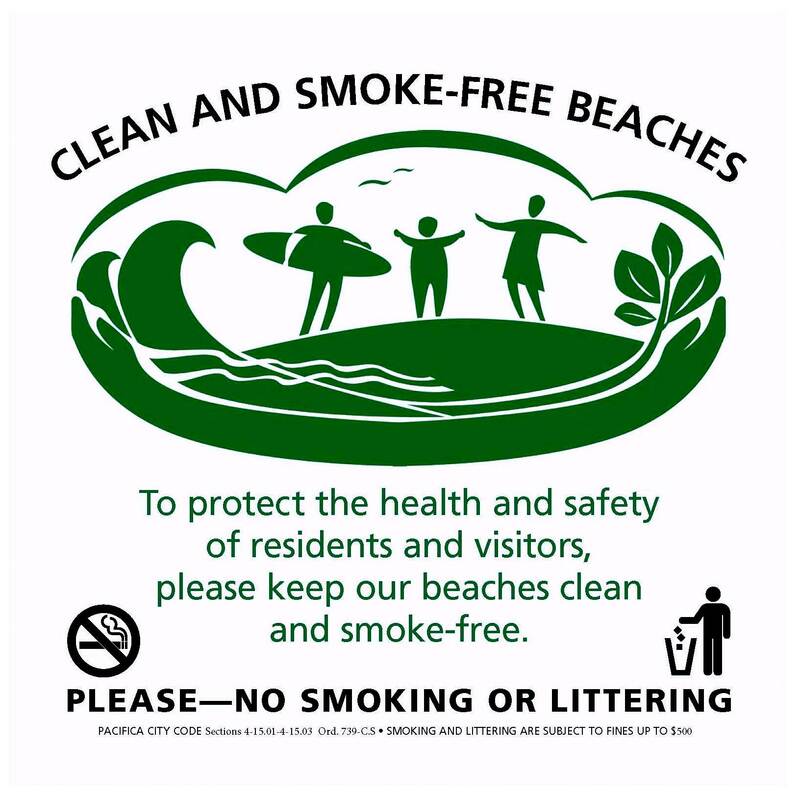 Each year, Post 4th of July Cleanups also take place to remove toxic fireworks debris before it washes out to the ocean and becomes harmful marine debris. Wildlife & Habitat Protection Measures: Seasonal fencing is installed to protect the federally endangered Western Snowy Plover. Installed north of the Crespi path entrance on the west side of the dunes, it will remain in place until the plovers leave in mid-April and be removed in mid-August. In Pacifica, snowy plovers over-winter – usually arriving mid-August and leaving sometime in March or April. During this time they fatten up on rich protein diet of kelp flies, beach hoppers, other insects and small invertebrates washed up on the beach, and occasionally in the back dunes. When not foraging, snowy plovers nestle down in the sand, low enough to be warmed by radiant heat and still have a view out to the sea. Their primary defense is sitting still and blending in. The Western Snowy Plover winter roosting population at Pacifica State Beach has declined by 75 percent over the last 12 years. Read About the Team in Action: Check out the Linda Mar Blog. 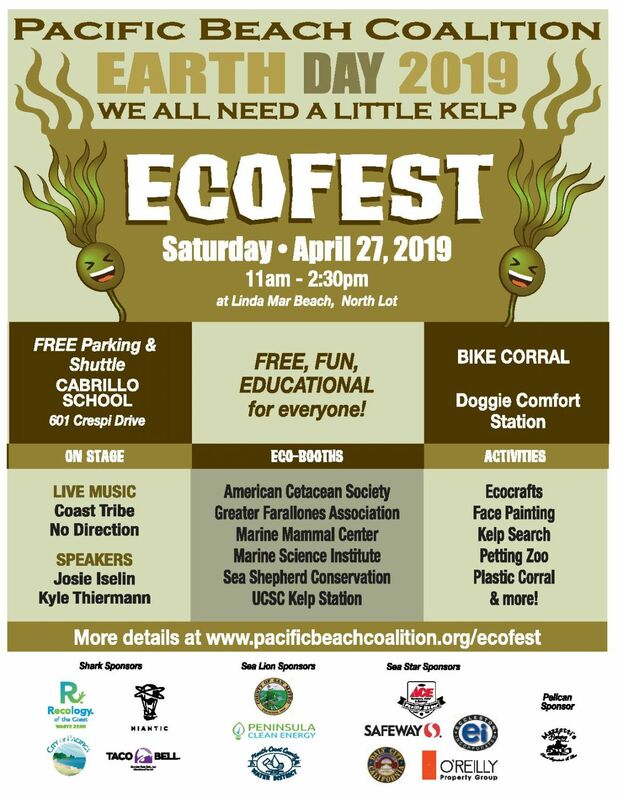 Directions: From the junction of Highway 1 and I-280 in Daly City, take Highway 1 south and drive 6.7 miles to Linda Mar and the entrance to Pacifica State Beach on the right.